Today’s guest blogger, Dana Howell, is a Board Certified Behavior Analyst who taught regular education, and special education. Dana has also been a paraprofessional and a speech-language pathology assistant. Her company, Behavioral Interventions And Solutions, creates ABA resources that empower parents with affordable and easy to use tools for managing challenging behaviors. 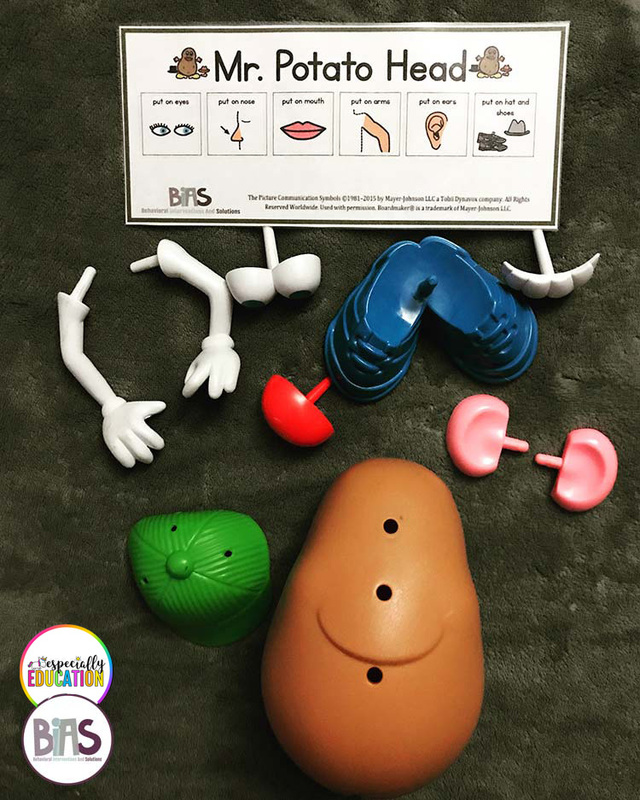 Visual supports are a crucial part of any special education classroom. Not to mention, the use of visuals can often help you avoid challenging and unwanted behaviors. As adults we utilize visuals every day. Some examples include: calendars, to-do lists, maps, and assembly instructions. Therefore it isn’t hard to see why children would benefit from similar supports. Visuals come in a variety of shapes, sizes and styles. There are 5 main types of visual formats that you can utilize in your classroom. In addition, each visual format can be organized from concrete to abstract. The type you choose ultimately depends on the style of learners that you have in your classroom. Visual supports can complement many types of verbal information, thus increasing comprehension and independence. Teachers are always are striving to teach their students to be self-sufficient. Using visual supports in the classroom can help you get there. There are MANY types of supports that you can implement in your classroom. Visual Schedules – These are useful in helping students understand a scheduled sequence of events, anticipate changes, and increase independence. Environmental Visuals – These supports can help structure your classroom and decrease the need for prompting. Visual Scripts – These can be used to help children understand social situations engage with others, respond appropriately to situations, and problem solve. Rules/Reminder Visuals – These supports visually present expectation and remind students about what behaviors are acceptable or what consequences could occur. 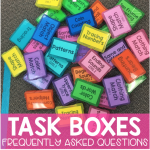 Visual Task Analysis – These supports can be used to facilitate a step-by-step series of tasks and are often helpful for students who are easily distracted or confuse the order of a multi-step process. Choice Boards – These supports can be utilized to help students know what options are available and aid in the decision-making process. Transition Visuals – These visual supports can prepare students for an upcoming shift in activity and can be presented in a low-tech paper format, as a tangible timer, or a high-tech device app. Communication Boards – These visual supports can be utilized to help a student communicate and can consist of a single page or multiple pages bound together into a book. Token Board – These supports can be utilized as a way to reinforce students for the good work they are doing, and allow them to see what is available to earn at the end of a series of tasks. When making visual supports for your classroom, it is important to ensure that they are portable, durable and easily accessible. Visuals can be static or interactive, based on the situation or student you are making it for. Visuals don’t have to be fancy. My favorite DIY lamination hack is using PACKAGING TAPE! Within seconds you can have a new visual support printed, protected and ready to go. 2D visuals can be mounted on foam or wooden blocks for students who need something a little sturdier. Regardless of what format or type of visual supports you choose for your classroom; using them is the key! That way every one of your students has an equal opportunity to be a successful and independent learner.